Other than within the consecrated walls of the Vatican in Rome, where will you find such an extensive and well curated collection of venerated Catholic relics? Interestingly, the answer is Pittsburgh. Simply stepping through the stately doors of Saint Anthony's Chapel in Pittsburgh's Troy Hill neighborhood you are greeted with the reverent gravity of the preserved history within. 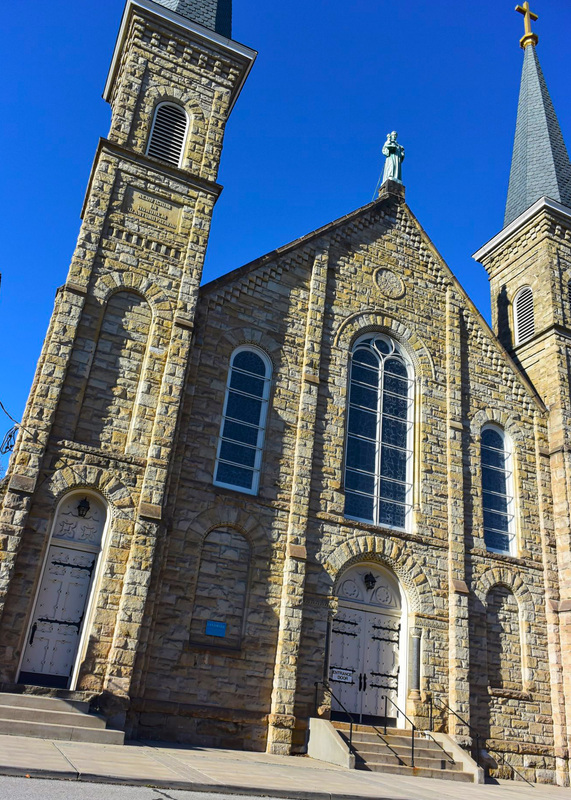 From woodwork to statuary and stonework to stained glass, Saint Anthony's earns its historic landmark status in every way. Walking forward down the main isle to the front of the chapel, a communion of saints' artifacts unfold everywhere you look. Reliquaries and sepulcher of saints and Catholic luminary line the walls of this more than century old chapel. Originally built under the direction of Father Suitbert G. Mollinger in 1880, the Chapel of St. Anthony's was dedicated during the Feast of Saint Anthony on June 13, 1883. Since that time, more than five thousand impressively displayed Catholic relics have lined the sanctuary walls from life-sized depictions of the Stations of the Cross, to a first class relic of Saint Anthony and even a thorn from Jesus' Crown of Thorns. Dogma aside, these grand historic artifacts represent an important collection of humanity spanning centuries, continents and personal beliefs. "Here Lie the Saints in Peace." This quote, inscribed in Latin above the church's central arch, sums up the experience of visiting Saint Anthony's. There are far too many genuinely priceless artifacts to mention here, so it's well worth making the journey to experience the artifacts in your own way. With informative tours in the welcoming chapel available every day except Friday, Saint Anthony's is a must visit for any fan of religious architecture and the marvels of Catholic history. Group tours are available and should be arranged in advance by calling the Chapel office 412-323-9504. I like what I like and love what I love but I always have an opinion. If you're curious, follow my Instagram or Twitter @listen2dja.